We had the pleasure of working with The Blue Book company at the Charlotte Motor Speedway at “The Who’s Who in Building in Construction” conference. Until this event we never knew how well The Blue Book and construction went hand and hand. The goal that was requested of us was to cover the event with a two camera setup for the guest speaker’s part of the event, along with an interview station that had a 2 point light setup and a hand held wireless microphone. Vendors at the conference were asked to give their testimonials and experience in working with The Blue Book. 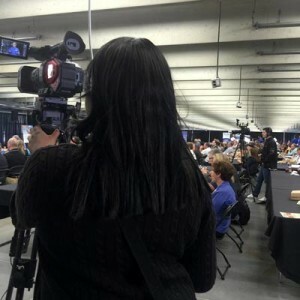 A second camera operator was equipped with a three axis gimble to capture what it was like to walk around and experience the conference. 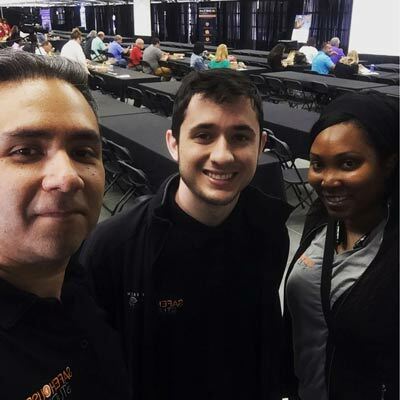 With Safehouse producing coverage of the event, the marketing director was able to gain a lot of social media content to share what it was like at the Who’s Who in Building and Construction event. Along with the event, guests had the opportunity to take a lap a around the Charlotte Motor Speedway. Of course once we were told to go and shoot video of Charlotte Speedway we just could not pass it up. Getting to see what a professional race car driver experiences in a race is a little hard to put into words. When I say that the car was on its side and the G forces were pulling me into the seat, that is a understatement. The gimbal that we took into the car to get smooth footage of the track from within the car was having a hard time staying horizontal. We definitely got the shot along with an experience I won’t ever forget. At Safehouse we are very accustomed to shooting “Live Event Coverage” for many types and sizes. Being a part of events takes the know-how to think quickly on your feet and adapt to with is happening within the event. Having the appropriate video gear to do the job is not a bad thing either. Being a video production company in Greensboro, we are surrounded by all types of venues such as the Charlotte Motor Speedway. From the Outer Banks to the mountains in Tennessee we have seen a lot just in our small state and the other surrounding states.